Looking for private in-home or in-studio Viola lessons? Our Allison Park teachers are ready to get you started. Find your teacher today! Check out some of our most popular teachers near Allison Park, PA including Pittsburgh, Murrysville, Wexford, Bethel Park and Coraopolis. Whether you're 3 or 103, if you're playing viola (or starting to play!) I hope you're EXCITED about it!! Over the years, my students have said that their lessons are/have been their favorite times of each week. I believe learning to play viola should be full of joy, learning, thinking, and feeling. Bring that joy alive for yourself by partnering with me as your musical guide. I bring over 30 years of experience and pure joy to my work, and I'd love to share that with you! I've been in and around music all my life. I started violin at age 5, part of the first generation of Suzuki violinists in the United States. I've loved being a professional violinist and violin teacher for over 30 years! And I've also founded and directed three community music schools in Newburyport, Boston, and Manhattan. I hold Bachelor's and Master's degrees in Violin Performance, and I'm lucky to have had wonderful experiences during my formal training! 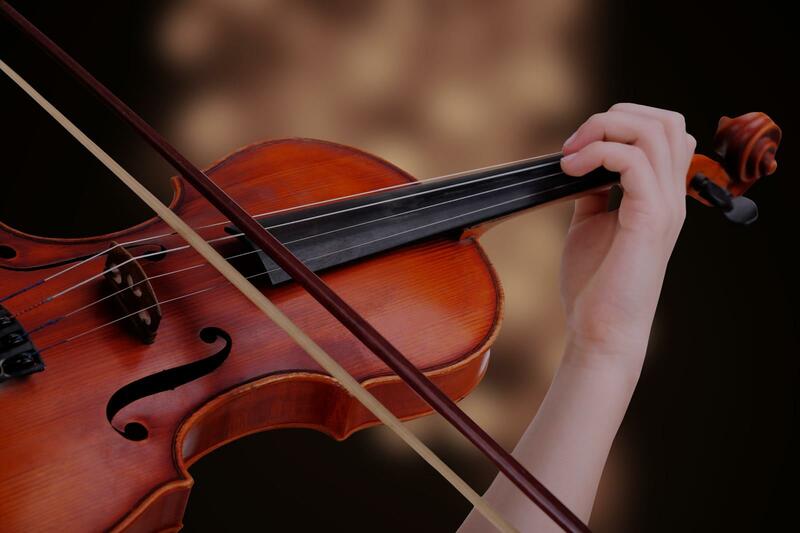 In my undergraduate years, I was awarded a full 4-year scholarship for string quartet and chamber music playing, which was invaluable as a real-world training. In graduate school, I was fortunate to learn so much as a Teaching Assistant for undergraduate violin students. ed violin teachers who have sought me out to improve their techniques for best teaching practices. From my 30+ years of private violin teaching and observing how children learn, I developed a super fun groundbreaking class in New York City for 2.5 to 5 year old beginners called Crackerjack Kidz! And a few years ago, I wrote a text to accompany young students and their families. I continuously work to be a master teacher dedicated to the very best methods, using a variety and combination of techniques and strategies tailored to the student's musical success and enjoyment. My specialties include music-based early childhood development, adult beginners and continuing learners, intermediate and advanced players, and chamber music coaching. I welcome you to start your family's musical journey with me! While each lesson is different, we always try to spend a little time warming up, making sure we're comfortable and free of tension, reviewing what we've worked on, and layering in new concepts each time. We also learn age appropriate music theory (the "why's" of how music works), we exercise our imaginations, and we learn how to effectively practice. We learn to think, solve problems, hear the music in our minds, and coordinate our bodies to play beautifully! Along the way we learn skills for life, the joy of accomplishment, and love of ourselves and others! Whether you're a toddler or a senior, violin can always teach new things and help students appreciate more about themselves and the world! Music room with keyboard and computer. Parents can sit it on lessons, and are enouraged to do so with young students. I'm a classically trained violinist and a master teacher with over 30 years of experience. I've been teaching Suzuki violin to children ages 3 and up for my whole career, and I'm also extremely comfortable with traditional methods for beginner, intermediate, and advanced students of any age. A great deal of instruction in the first lesson. Patient and goes over things very well. Learning Violin has been my passion whole life and I found the best teacher who could help me learn it perfect and beautiful. Every lesson with Jill is fun and enlightening at the same time. She can understand my negatives so well and focus on them while also teaching me to move forward correctly. She understands the level we are at and adjusts each lesson accordingly which is very helpful for a beginner. Its been a year I've started learning violin with Jill and it has been a great year so far. She is the best. Learn to play folk music or classical. Explore this deep and beautiful instrument! We learn the basics of technic, lesson songs and theory using the classical approach. We have fun through music games and challenge assignments where my students earn rewards in various creative ways. I have been playing viola for about 10 years, and I specialize in all experience levels of students. I am highly trained in music theory, technique, and improvisation, and whether you want to learn basic technique, play a Bach sonata, or learn how to improvise over changes in a complex tune, I can help! I am very open to any ideas and desires my students have, and I strive to make learning music both fun and rewarding for the student. I also have a very open schedule to cater to your time constraints, so let’s get started! Can't find a teacher in Allison Park, PA? w the individual. She is gifted and very talented in her field." "My daughter loves her viola lessons. She is a great teacher." ng with her. I highly recommend her."